What is Magnetic Force Microscopy? Essentially, a magnetic force microscopy (MFM) is a variant of an Atomic Force Microscope (AFM) typically used for scanning and studying surfaces with magnetic properties. The probe (scanning tip) of the magnetic force microscope has a magnetic coating that allows the device to measure magnetic fields. This makes MFM ideal for imaging the spatial distribution of the magnetic field of such objects as magnetic tapes. Piezoscanner (piezoelectric scanner) - This is the part of the device on which the sample is mounted. The piezoscanner provides spatial movement of the sample (x, y, z directions) making it possible to map the sample surface. This simple procedure is used to magnetize the tip for MFM. For this technique, the sample (with magnetic properties) is mounted on the piezoscanner that moves on an X, Y, Z axis. With the specimen resting under the cantilever's tip, magnetic force between the tip/probe and the sample causes the cantilever to bend and the oscillations recorded. Apart from the magnetic forces between the sample surface and the tip, Van der Waals forces are also in action in this set-up. These (Van der Waal forces) are weaker forces that exist between the atoms of the tip and those of the sample surface. However, they are weaker compared to the magnetic force depending on the distance between the two. * Essentially, a magnetic force microscope is an atomic force microscope (AFM) with a magnetized tip/probe that is used to measure the magnetic force exerted on the cantilever tip. * Rather than magnetic domains, a magnetic force microscope detects and images the stray fields present on the surface of the sample. For a sample with oppositely magnetized domains, the different magnetic poles in the domain would result in stray fields that can be detected by the magnetic tip on the sample surface. For instance, in such a set-up, a MFM tip moving across the sample surface would experience two different forces on the domain wall caused by the different magnetic poles. Here, one of the forces would be the repulsive force (from one of the magnetic poles) and attractive force from the other pole. 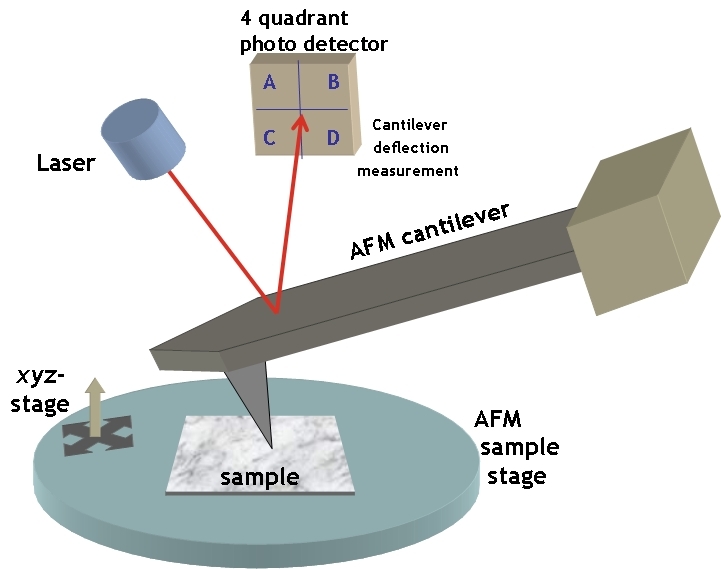 The different forces would cause the tip and thus the cantilever to oscillate differently between different regions of the sample during imaging and ultimately give an image representing the state of the stray fields on the sample surface. Given that other forces (such as the Van der Waal forces) apart from magnetic force acts on the tip, it is necessary that the probe be maintained at a given distance during imaging. Since this often proves challenging, dual passages is used (Two-Pass Technique) in magnetic force microscopy. The Two-Pass technique involves scanning the sample surface twice. For the first scan, intermittent contact mode is used to map the sample surface. Intermittent contact mode, also refered to as true-Non-contact, involves using the tip to get the topography of the sample. The tip is passed across the sample surface similar to the process used in atomic force microscopy. Therefore, there is some level of contact for the initial scanning. During the second scanning, the cantilever tip is set at a small distance from the sample in order to scan along the topography line mapped during the first scan. For this phase, the cantilever tip only interacts with the magnetic force, which allows for imaging. This technique presents a big advantage given that it minimizes the effects caused by other non-magnetic forces. For instance, by only following the topography line obtained from the first scan, effects of Van der Waal forces on the cantilever tip are minimized so that they do not affect the effects caused by magnetic force. This ensures that only the effects of the magnetic force are recorded. During the first scan that involves contact, the cantilever tip scans the surface while the recordings made are used to produce a three dimension (3D) image of the surface. Here, contact with the sample surface allows for the device to scan the surface down to the atomic level. Here, the first scan plays an important role in that it helps mark out a trajectory through which the tip passed through. This helps provides a profile of the surface that is then stored in the connected computer. During the second phase of scanning, the tip moves along the marked trajectory above the surface (no contact). This ensures that the tip is only affected by other forces (magnetic and to a lesser extent by Van der Waal) rather than contact force. During the second phase of scanning, oscillations of the cantilever are largely due to the effects of the magnetic forces (stray fields) from the sample. Nanoparticles are nanoscale particles. This means that they are particles that range between 1 and 100 nanometers in size. 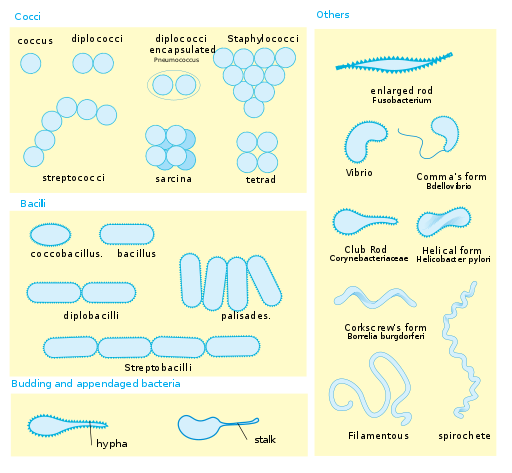 As such, they are too small to be clearly seen under the light microscope let alone the naked eye. With such techniques as magnetic force microscopes, it has become possible to observe and study a wide range of nanoparticles. One of the biggest advantages of this technique (MFM) is that it can be used in a variety of conditions (ambient conditions). This means that the magnetic force microscope can be used in varying temperatures, in liquid conditions as well as vacuums. This, therefore, makes it an excellent technique for studying various nanoparticles in their respective environments. One instance in which magnetic force microscopy has been used to observe and study nanoparticles is with regards to Magnetoferritin molecules. In a recent experiment, researchers used Ferritin from Pyrococcus furiosus, a species of Archaea. This was preferred because of its capacity to stabilize the magnetic iron nanoparticles during the imaging process. To study these molecules, researchers began with atomic force microscopy in order to obtain the topography images. Essentially, this involved mounting the sample and moving the AFM tip across its surface. This allowed the researchers to observe and study the shape and dimensions of the molecules (Magnetoferritin molecules) on the protein (Ferritin). Ferritin is a protein that can be found in a variety of organisms ranging from prokaryotic bacteria to mammals. Being a protein, it is made up of various molecules including the Magnetoferritin molecules. In the experiment described above, the AFM was first used to map out the sample surface and highlight the topography of the molecule thereby giving a general appearance of the molecule. By itself, atomic force microscopy is incapable of identifying the magnetic fields of the molecule. Here, the second pass (MGM Phase) allows for these areas in the molecule to be identified by using a magnetized tip. Therefore, the two techniques greatly contribute to understanding the molecule in detail (dimensions of the molecule based on AFM and the presence of the magnetic molecules based on MGM). By using the technique (MGM) it has become possible for researchers to study the magnetic properties of a wide variety of biological molecules in various organisms (bacteria to mammals). In particular, the technique has been shown to have a number of advantages including being non-destructive when studying biological components and providing high resolution. (SPIONs) are nanoparticles that are currently being increasingly used in biological sciences. Due to their size and long half-life, these nanoparticles have been shown to be particularly suitable for targeted drug delivery, magnetic labeling as well as for treatment of hyperthermia among cancer patients among others. These applications make it a valuable nanoparticle in biological sciences and pharmaceutics and several other fields. Using magnetic force microscope, it has become possible for researchers to study and understand these nanoparticles. During imaging, researchers started with AFM imaging, which provided topography images of the sample. The first step allowed the researchers to determine the height, size and distribution of the SPIONs. From the images, it was observed that whereas silicone dioxide coated SPIONs were broadly distributed with higher mean diameter, bare coated SPIONs did not. However, both were observed to be non-symmetric with right skewed size distributions. For imaging of SPIONs in liquid conditions, the nanoparticles were first coated with poly methyl-methacrylate (PMMA). Coating the SPIONs with poly methyl-methacrylate helps secure them to the substrate temporarily. This is typically done to prevent the nanoparticles from being separated from the substrate when they are mixed with water. * Imaging revealed small SPIONs covered by a layer of PMMA in liquid. Although studies are being made to improve the technology for better data recovery, data reconstruction from a hard disk drive using magnetic force microscopy involves three major steps. Imaging of the hard drive first involves selecting a given portion of the disk (e.g. a square of about 100um by 100um) to be scanned. Once the desired portion has been selected, it is mounted on the microscope for scanning. The process starts with operating the probe in tapping mode. Compared to other modes, the tip (in tapping mode) comes in contact with the sample surface only briefly. As such, it does not drag along the surface. This is the first scan that helps mark a trajectory to be followed. During the second scan, scanning is achieved at LiftMode where the tip is set at a certain distance from the sample surface (surface of the hard disk). Determining the ideal distance between the tip and the sample is of great significance given that the distance selected has a direct impact on the quality of data obtained. Whereas long distance will affect the magnetic force between the tip and the sample surface, a very small distance may result in the tip coming into contact with the surface, which can cause artifacts to form. The second scan is based on the magnetic force between the tip/probe and the magnetic field present on the disk. Once scanning is complete, the images obtained from the scan can then be used for data reconstruction in the processing phase. The sample has to be specially prepared - Before the sample is scanned, it has to be specially prepared in order to locate the intended patterns. Again, this may prove frustrating. Magnetic force microscopy is primarily used to scan the magnetic field of a sample. Once the first scan involving contact has been done, the second scan (non-contact) is dependent on the magnetic force between the tip and the sample surface. However, other forces such as the Van der Waal forces exist between the two. MFM offers a big advantage here because it is capable of separating these forces. This can simply be achieved by setting the tip at the ideal distance from the sample once the first scan has been completed. This makes it possible to scan the surface of the sample based on the magnetic field. Magnetic force microscopy has been shown to be an important tool for detecting nanoscale magnetic domains in various fields of study including biological sciences. Compared to other microscopy technique, magnetic force microscopy can be used in various environment conditions (varying temperatures, vacuum etc) and even in liquid conditions. 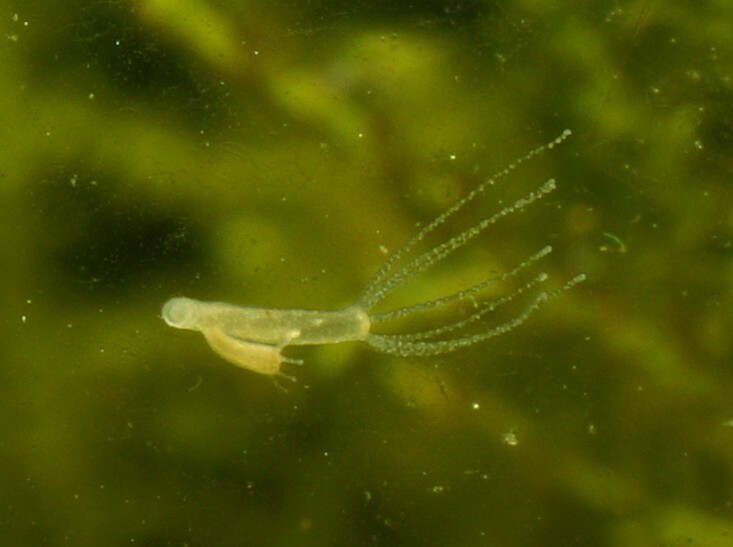 This is a big advantage given that the technique can be used to study and analyze a range of samples in their natural environment. For instance, using this technique, it is possible for researchers to study given proteins or other bio-molecules in vitro for better results. In addition to the fact that the technique can be used in varying conditions, it is also capable of high resolution in these conditions. This makes it an excellent technique for getting clear images of nanoparticles in their natural environments. Magnetic resonance force microscopy is a type of magnetic resonance imaging (MRI) that combines the principles of both MRI and atomic force microscopy to produce three dimensional images of nano-samples (and in some cases reaching atomic scales). Like magnetic force microscopy, this technique is also dependent on weak magnetic forces between the sample and tip of the microscope. Essentially, MRFM uses the same working principle as magnetic force microscope. Here, the sample is mounted on the cantilever so that it is in close proximity to the magnet beneath it. With the magnetic tip moving near the sample, the nuclear of the atoms or unpaired electrons (on the sample surface) start to spin as they get attracted. The spins then flip which causes the cantilever to move back and forth. Oscillations of the cantilever can then me measured (by measuring amplitude of the oscillations) to scan the sample. For the technique to be more effective, it requires a very sharp probe/tip and a smaller cantilever. 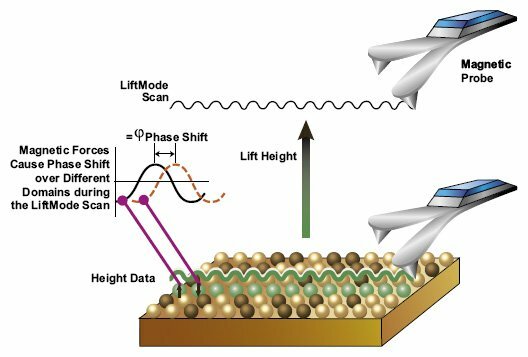 Atomic force microscopy (AFM) is itself a type of scanning probe microscopy that is typically used to measure various properties (height, friction etc) of a sample surface. Once the sample is mounted, the sharp cantilever tip is moved across the sample making it possible to map the sample surface. As the tip moves across the sample surface, the forces between it and the surface cause the tip and thus the cantilever to move (oscillate). This in turn causes changes (displacements) in the laser beam being reflected off the surface of cantilever; which are then detected by the photo-detector and recorded. This makes it possible to scan the contours of the sample and provide images that represent what the surface looks like. One of the main benefits of AFM is that it can be used to also detect other forces like Van der Waal and magnetic forces. By magnetizing the probe, this technique not only can be used to scan the topography of the sample surface, but also the magnetic fields. Here, one of the main differences between AFM and MFM is that whereas the tip/probe can come in contact with the sample surface in AFM, it is set at a small distance in MFM so that there is no contact. Secondly, if the tip is not magnetized, the AFM technique would not be effective in scanning the magnetic field of the sample surface. The scanning tunneling microscope uses the same principle as AFM. That is, a sharp tip is moved across the sample surface during scanning. However, this technique works by employing a small voltage to either the sharp tip or the sample (both in some cases) making it possible to image the sample surface to the atomic scale. Using this technique, it is possible to identify individual atoms on the ample surface based on their size and shape. Wolfgang Kuch. Magnetic Imaging. Freie Universit¨at Berlin, Institut f¨ur Experimentalphysik, Arnimallee 14, 14195 Berlin, Germany. Cordova et al., Magnetic Force Microscopy Characterization of Superparamagnetic Iron Oxide Nanoparticles (SPIONs). 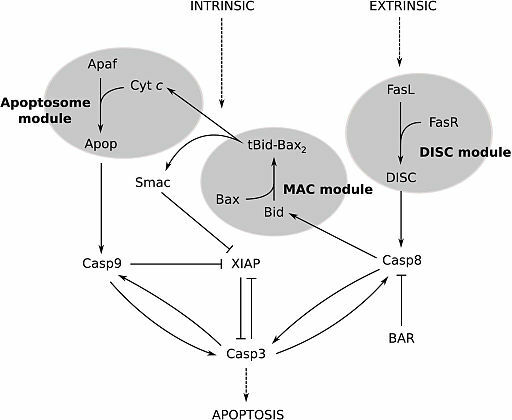 Nano Biomed Eng 2014; 6(1):31-39. doi: 10.5101/nbe.v6i1.p31-39.